How Public & Private Work Together Today: A UIUC/Carle Medical School? University of Illinois (UIUC) Chancellor Phyllis Wise, already at the center of the Steven Salaita affair, is proposing that UIUC and Carle partner to build a medical school. A public university pursuing a large-scale project with the private sector is again all about the neo-liberal corporatization of the university. An already large, expanding corporation selling health has everything to do with the American for-profit healthcare system. For some, Wise’s plan is a game-changer of limitless opportunities with nothing but upsides. For others, “the devil is in the details” of a tiny number of individuals engaging in largely out-of-the-public-eye discussions, possible conflicts of interest, and unethical dealings that, nonetheless, will impact the public at large. The UIUC/Carle proposal is clearing administrative and political hurdles on its way to becoming a reality, if its backers have their way. With Chancellor Wise in the lead, UIUC is spearheading the project slated to open in fall 2017 with an initial 25 students that would meld bioengineering, biomedical, and related UIUC strengths, with a research-based medical school. Carle is to provide $100 million, and UIUC would seek donors for $135 million. With everybody who is anybody apparently on board, what is there not to like? The University of Illinois-Chicago (UIC) does not like the plan. It proposes “a competing vision” that would partner with UIUC to offer expanded engineering-centered doctor training through the existing UIC medical school, whereas Wise’s plan would create “conflicting, competing entities.” UIUC has bluntly said “no” to UIC’s alternative plan. Provena Presence Hospital does not like still more competition from rather than cooperation with Carle, which it says is trying to “drive [it] out of business.” Last summer Carle wanted to add 48 medical/surgical beds, but Provena objected, arguing that the state itself had determined that there was already an excess of beds in the region. At first the state rejected Carle’s request, but after Carle lobbied, with help from the Chancellor’s office, it was approved. Residents in Urbana do not like the fact that Carle’s property tax-exempt status, effective 2012, has resulted in plummeting city revenues and a 10 percent spike in 2013 individual property tax bills. Pushing back, Urbana-ites have formed Concerned Citizens of Urbana (CCU), which has created a website, organized community meetings, and dotted Urbana with lawn signs. As part of her meetings with area stakeholders, including Urbana Mayor Laurel Prussing, Chancellor Wise has raised the possibility that “there will be a ring of businesses associated with biotech” surrounding the new medical school. If so, Urbana wants the school sited in the city so as to receive any additional tax revenue. Dr. Andrew Scheinman does not like the Chancellor’s office lobbying in favor of Carle’s bed expansion. An Urbana native, UIUC grad and local patent attorney, Scheinman has galvanized residents into action through CCU. He argues that it is unethical for UIUC to involve itself in Carle’s bed expansion, and that Carle supplied talking points to and paid the Chancellor’s office to lobby on its behalf. He has filed complaints alleging unethical conduct with the University Ethics Officer plus Illinois Attorney General Lisa Madigan’s office. Carle enjoys a reputation as a center for medical research, although not everyone agrees. In 2009, Carle’s Leonard fired then-recently-hired Vice President for Research Dr. Suzanne Stratton, who had accused a Carle cancer researcher of systematic ethical violations in a story that made the New York Times. Wise herself has published research in medicine that has been called into question. 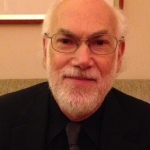 Numerous stories have appeared in, among other places, the Chronicle of Higher Education, Retraction Watch, and Electronic Intifada, that report on Wise’s “self-plagiarism,” the practice of publishing research results more than once. On a number of occasions between 1990 and 2006, Wise allegedly republished entirely, or in only very slightly altered form, previously published work. In at least one instance, she admitted as much. 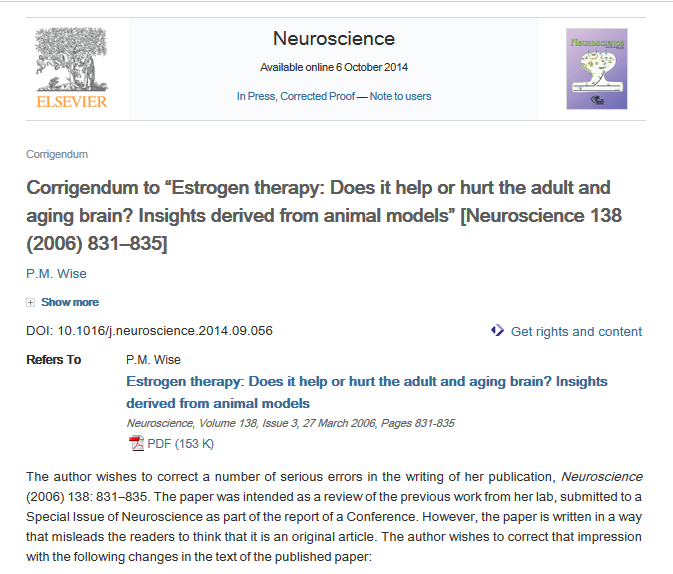 “The author wishes to correct a number of serious errors in the writing of her [Neuroscience 2006] publication,… the paper is written in a way that misleads the readers to think that it is an original article. The author wishes to correct that impression with the following changes in the text of the published paper…” Such self-plagiarism can occur in all academic fields, given the pressure to “publish or perish.” It is especially pernicious, however, in fields such as medical research where an artificially inflated number of article citations could have real-life consequences for prescribing drugs, establishing medical procedures, and the like. 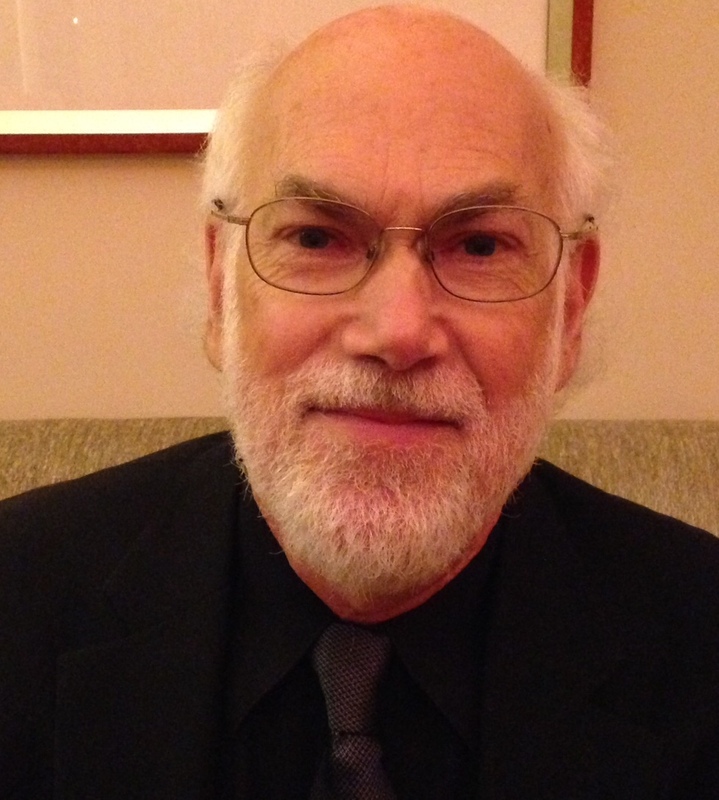 Both the Stratton case and Wise’s self-plagiarism revolve around medical research ethics. Wise is at the center of both the Salaita affair and the medical school plan. Clearly, she sees the medical school as her signature achievement. Wise appears caught off-guard by continued faculty and student opposition over Salaita that has forced her into damage control mode. Certainly, BOT Chair Chris Kennedy was caught off-guard, saying that the response the university had received was “super surprising.” Were the reputation of Wise – not to mention that of the university – continue to suffer due to the ongoing Salaita affair, then her standing to lead the medical school plan would suffer by association. Lifting All Boats, Or A Tub Sitting On Its Bottom? The more we learn about the medical school proposal and how Wise is handling it, the more questions arise. Where does working for the common good leave off, and conflict of interest begin? When she was University of Washington provost, Wise was criticized for simultaneously sitting on the Nike board. Now at UIUC, and still on the Nike board, she was paid $290,000 in 2013 alone. Since the beginning of 2014 she also sits on the Busey Corporation board. 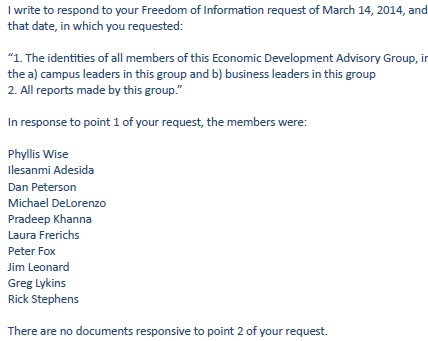 She leads simultaneously the aforementioned Economic Development Advisory Group that also includes the Busey Corporation board chair, which appears to be a conflict of interest. 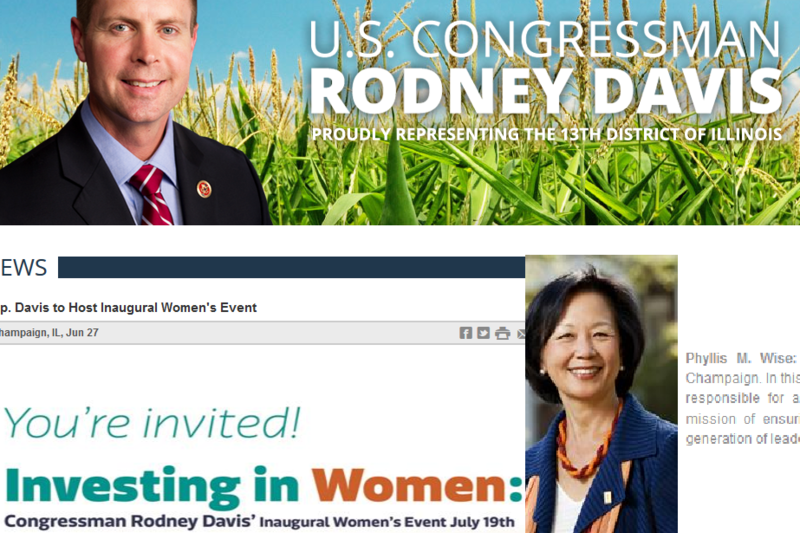 Wise gave a keynote at a Republican Congressman Rodney Davis event held last July in the midst of his 2014 reelection campaign. Governor-elect Bruce Rauner has named her to his transition team. The machers, big shots, make out, and seem fine with it. Their politics and worldview nestle with their agendas like Russian dolls. How did we get here? The short answer is short. It is all about the neo-liberal corporatization of UIUC at a time when state budget support has fallen to an execrable 12 percent. It is all about a corporation selling health as part of the American for-profit healthcare system in the era of Obamacare. These are national issues, reproduced locally. And locally, the Champaign/Urbana elite, like all-too-many others elsewhere at other times, acts as though what is best for them is best for everyone. They do not notice, or do not care, that their socioeconomic calculus leaves out somewhere between Mitt Romney’s 47 and Occupy’s 99 percent of the population. However you calculate it, this amounts to a disproportionately high number of the lower classes, women, and minorities. This is not new. The history of American philanthropy is the history of trickle-down, paternalistic largesse. An online comment in the News-Gazette gets it right. “There is a consistent push by the ‘movers and shakers’ in C-U’s economic development plans that local residents and particularly those that are mid-to-low incomes [sic] can,… for the foreseeable future, well,….uh,…just leave, and make way for out-of-town people who are wealthier. Thanks. Here is a map to Rantoul or Tolono if you need re-locating options.” In contrast to UI-Chicago’s larger, more inclusive medical school student body, UIUC’s would be smaller, and tuition would cost at least 20 percent more. The October 2014 business plan projects annual tuition at Urbana ranging from $45,000 for in-state students (UIC $35,442), to $60,000 for out-of-state residents (UIC $72,442), and $75,000 for international students (plus $9,000 in fees). The new college of medicine dean would make $500,000, top administrators between $100,000 and $250,000, and 75 new faculty between $140,000 and $270,000, not to mention 40 to 50 new Carle physicians. Carle is largely tax-exempt, largely because of their “contribution” – read: “lobbying” –rewriting the 2012 state law concerning charity contributions. Yet they cannot cough up from their $1.8 billion in assets a voluntary “charitable contribution” to Urbana, otherwise known as payment in lieu of taxes (PILOT). Instead of making up anything close to the $5.8 million Urbana lost in 2013 tax revenue, Carle has voluntarily cut checks for $100,800, based on their own calculation of their fire and police costs. Are there other ways of doing business? Of running a university? Of course. And they are not theoretical, but empirically tried-and-true ones. For the last 65 years, European and Canadian social democracies have been delivering, despite scattered objections and cutbacks, the overwhelmingly popular social goods of single-payer health insurance, and largely state-subsidized university education. This is the first of two articles.